Underpinning Strathmore Heights – professional underpinning contractors specialised in Sinking Floors, Cracked Walls, Weak Ground, Earthquake Remediation, Unlevel Buildings, Hole Voids, Cracked Walls, Re-Level & Re-Support For Homes. Call Deep Underpinning Strathmore Heights today on 1300 768 533 or contact online to book an appointment for the underpinning inspection. Got an underpinning related crisis with your property? Come to Deep Underpinning Strathmore Heights – the one stop solution for all such issues. We are the reliable professionals of Strathmore Heights delivering finest and safest underpinning solutions. We have some of the best underpinners working with us to ensure our customers get state-of-the-art underpinning service. Our excellent underpinning solutions strengthen the foundations of a building thereby making it more stable and durable. This leads to lessening of physical damages to the building. If you see a cracked wall/floor, a misaligned door/window, or a sinking floor at your home/office then probably it needs an underpinning expert. At Deep Underpinning Strathmore Heights we are adequately equipped to handle all kinds of procedures involved in underpinning services. From steel works, excavations, injections, basements, pilings, to concreting – we do it all. We at Deep Underpinning work to ensure that every building in Strathmore Heights has a rock solid foundation. With our underpinning solutions we provide a reliable foundation and a stable structure to your home/office. A building needs underpinning service for two reasons. Firstly, if it has not been constructed properly at the first attempt and secondly if it has got worn off with time. Buildings that are made with concrete slabs and brick veneer walls are bound to get affected over a period of time. Usually the alignment of the brick veneer loosens creating cracks in the slabs. Underpinning and restumping are more or less similar in nature. However in restumping we do not repair the stumps but replace them. Reblocking is another name for restumping. What we do is dig up the foundation with jacks and put new stumps in place of the cracked ones. At times, this process causes some kind of minor damage to the floor or wall. But with Deep Underpinning Strathmore Heights you don’t need to worry about these petty issues. We will take care of such damages and rectify them as well. A sinking floor is one of the major problems caused due to improper construction of any building. Even rotting joists and sagging beams can lead to sinking floors. If you wish to check whether there is any such problem or not then look at the floor from underneath (from a basement). The floor will seem to be bowing in the middle if it is sinking. Don’t fret if you are unable to figure it out. Just give us a call at Deep Underpinning Strathmore Heights and we will resolve the issue. If you don’t feel sure, call our experts from First Choice Underpinning for a free consultation. Salt damp is the problem caused in any building due to excess of salt or moisture. You can easily detect salt damp because of its visible signs such as strong odour, bubbly paint, gassy plaster, and falling mortar. 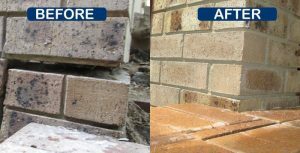 Deep Underpinning Strathmore Heights provides exceptional salt damp removal services to both domestic and commercial buildings. Our answer for salt damp is plastic dampcourse that protects your building in future too. You will need subfloor repair services if there is any damage underneath the floors or tiles. Don’t worry. We cover that as well at Deep Underpinning Strathmore Heights. Our underpinners use processed wood to repair subfloors. If you want or the damage is too worse, we can also install a new subfloor at an affordable price. Deep Underpinning Strathmore Heights offers lowest prices for floor replacement. So if you wish to get a new one for your office or home, contact us! We also provide floor recoating and floor stain removal services. If the floors of a building suffer from differential settlement then re-leveling is required. When concrete stumps get settled they lead to uneven floors, jammed doors, and even cracks. We do re-leveling with the help of hydraulic jacks but before we do that, we need to do underpinning of the building. You can even get a free consultation at Deep Underpinning Strathmore Heights. Cracked wall repairing is another of our fortes at Deep Underpinning Strathmore Heights. Cracked appears in your walls due to various reasons such as poor construction, leaking taps, unattended plumbing issues, and certain weather scenarios. You need to get these fixed as soon as possible because these can be dangerous. Get in touch with us for affordable prices for cracked wall repairs in Strathmore Heights. Apart from these Deep Underpinning also provides repairs and renovations for your homes and offices in Strathmore Heights. Whether it is a crack repair or a renovation required for a new design of your home/office – we are equipped to do it all. Ask for a free quote today and we might surprise you with an unbelievable estimate! Why Choose Deep Underpinning Strathmore Heights? We are registered underpinning service provider in Strathmore Heights. We provider underpinning services all across Strathmore Heights. Call Deep Underpinning Strathmore Heights for a free, no-obligation quote!